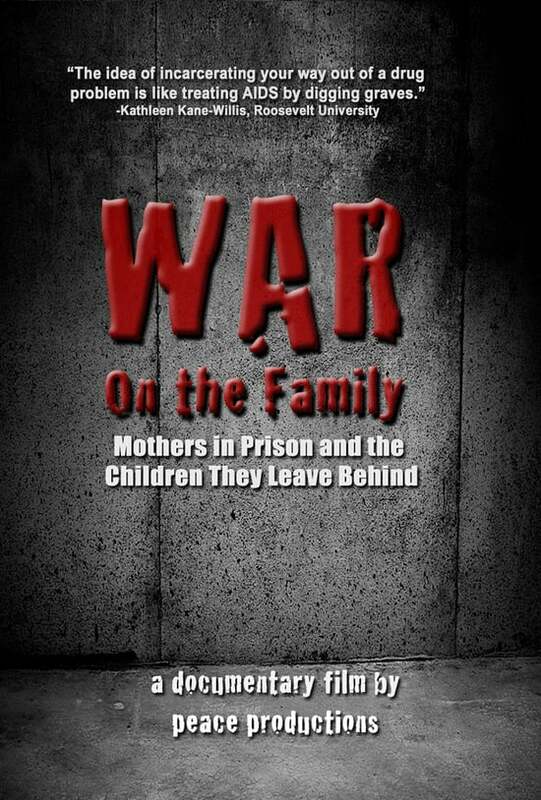 The drastic and destructive impact of incarcerating women is revealed in painstaking detail in WAR ON THE FAMILY: Mothers in Prison and the Children They Leave Behind. Haunting first person narratives, coupled with analysis from passionate advocates, paint a devastatingly clear picture of the effects imprisonment has not only on the women who are locked away, but also on the children who have been left behind. Aired in 3 segments in Chicago on ABC's Sanctuary program. DVD. Color, 48 minutes. English, Spanish and French subtitles. This DVD copy of War on the Family includes an institutional license, which entitles your organization or institution to library lending rights and the rights to screen the film for both paying and non-paying audiences. Duplication of the film is prohibited. A paper copy of this license will be included in the mailing of the film.